The worst thing you can do is make an impulsive decision when it comes to your future. With that in mind, it is vital to take the time to research numerous law colleges before you determine the best option for you. 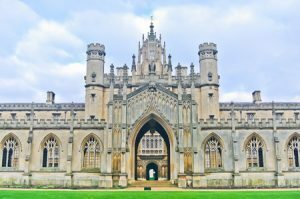 Below, we take a look at ten of the law colleges in the UK. 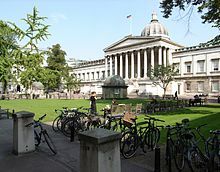 Firstly, we have the University College London, often abbreviated to UCL. The University College London has an exceptional reputation all over the world, consistently ranking in the top 20 global universities. UCL also leads the way in terms of research, boasting a status as the UK’s top-rated university for research strength. In terms of course options, their Law LLB degree is a popular choice. This is a three-year programme that combines research and theory with skills-based training and application. At the end of the second year, students have the option of spending part of their degree studying abroad in Singapore, Australia, or the USA. In regards to student feedback, UCL has a glowing reputation. 80 per cent of students find a job in the legal industry within six months. UCL also has an impressive student to staff ratio: 14.2. Not only is York a historic and beautiful city, but also it provides the perfect place for aspiring law professionals to learn and start their career in the industry. 94.0 per cent of law students have stated that they are satisfied with teaching at York University, while 93.9 per cent have stated that they are satisfied with the course. Their LLB (Hons) Law course is described as an innovative and radical approach to the academic study of law. This is one of the factors that appeal to a lot of students; it is a new and fresh course. Students learn to use their judgment, reasoning, and analytical skills to tackle topical questions with social, political, and ethical dimensions. Students will walk away with a Qualifying Law Degree, which the Bar Standards Board and Solicitors Regulation Authority regulate. Oxford University is one of the largest law schools in the UK. It has long been considered a solid choice for those who want a career in law. It hosts the biggest doctoral programme in Law in the English-speaking world. 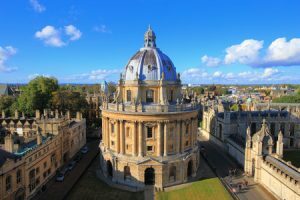 There are two Law courses available at Oxford University. One is a four-year course and the other is a three-year course. The former follows the same syllabus, however, the extra year is spent abroad. Student feedback makes positive reading too. According to The Guardian, 87 per cent of students find a career within six months, and roughly 92 per cent are satisfied with the course itself and the teaching they experienced. As you may have expected, no article that mentions Oxford is complete without giving a nod to Cambridge. Cambridge University was founded in 1290 and has an exceptional reputation for those interested in a law degree. 97 per cent of students have stated that they are satisfied with their law course and the teaching. Where Cambridge excels over other universities is in terms of how many students find a job in the legal sector within six months – a huge 96 per cent. 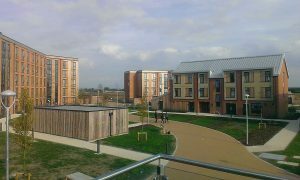 Cambridge University also impresses in terms of resources and facilities that are available. The Faculty and University Law Society organise various activities, ranging from lectures and formal meetings to hypothetical legal cases and social events. Leeds University boasts the highest student to staff ratio out of all universities in the top ten, and by a considerable degree. The student to staff ratio is 19.1. Next in the list is York University, with a ratio of 17.7. So, what can you expect when learning law at Leeds University? Their Qualifying Law Degree, LLB Law, enables students to learn about law, both in regards to seeing law as a social institution and thinking like a lawyer. There is a diverse assortment of optional modules for students to choose from, including policing, youth crime, family law, environmental law, criminology, human rights law, employment law, and much more. The University of East Anglia is another option worth considering for aspiring law students. When compared with the other universities in the list, the UEA excels in terms of how satisfied final-year students were with the assessment and feedback they received from their lecturers. According to The Guardian, 83.7 per cent were satisfied with the feedback they received. Next in the list was Durham University, with 79.1 per cent happy with their feedback. 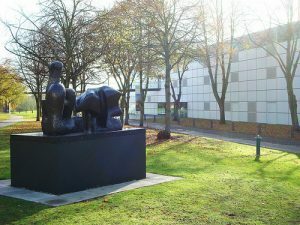 The University of East Anglia also boasts the most impressive ranking in terms of satisfaction with teaching; 98.5 per cent stated they were happy with the teaching they received. Of those students, 78 per cent found a job in the legal industry within six months. Durham University is considered a global leader in legal research and education. The academic staff at the university have won awards for their groundbreakingresearch, which has had an impact in public engagements across the country and the rest of the world. In the United Kingdom’s last national Research Excellence Framework, Durham’s research was ranked third. Not only this, but the law school features in the top 40 QS World Rankings for law schools. Durham also excels when it comes to employability and student satisfaction. 87 per cent of law students are employed within six months of finishing their degree. Durham University graduates include some leading figures within the legal industry, including current Members of Parliament, members of the Court of Appeals, and the UK Supreme Court. The Queen Mary University of London provides undergraduate, postgraduate, and legal CPD courses. 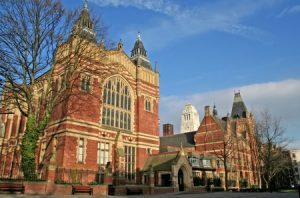 The university is a member of the Russell Group of leading universities in the United Kingdom, as well as one of the top research universities in the UK. The Law School is separated into two organisational units, which are the Centre for Commercial Law Studies (CCLS) and the Department of Law. The latter covers all areas with regards to legal studies. On the other hand, the Centre of Commercial Law Studies (CCLS) is more of a specialist unit. This unit specialises in the skills and knowledge of commercial law that can be placed at the service of the legal profession, overseas institutions, public bodies, and the government. The QS World University Rankings have ranked the Queen Mary School of Law as the 35thbest university in the world. Not only this, but 86 per cent of students have a career after six months, 92 per cent are satisfied with teaching, and 91 per cent are happy with the course. Achieving the number one spot for teaching in the UK’s National Student Survey 2017, Dundee Law School is clearly held in very high regard. It was also awarded the number one spot for top law schools in Scotland by the Times and the Guardian. One of the great things about studying law at Dundee University is the numerous opportunities that students can benefit from. This includes The Law Society, which provides support in terms of social events, academia, and careers. There is also the Dundee Student Law Review, which gives student a forum to engage with current legal issues and make those issues available to the greater public. This merely scratches the surface; there is also the Water Law Associates Society, Mooting Society, and Dundee International Law Society. It is, therefore, of no surprise that Dundee University has received exceptional feedback from its law students. 93.9 per cent stated that they were happy with the course, 94.0 per cent said they were satisfied with the teaching they received, and 78.4 per cent said they were happy with the feedback their lecturers provided them with. The London School of Economics is home to LSE Law, a law school that has a worldwide reputation for excellence in terms of research and teaching. LSE Law has a great reputation, with 82 per cent of law students finding a career within six months. The Law Department has played a key role in policy-making and debates, and in the education of law teachers and lawyers worldwide. In fact, there are a number of vital subjects that were first examined systematically and taught from an academic viewpoint at the LSE. This includes studies of the legal profession and system, aspects of welfare law, family law, labour law, company law, civil litigation, taxation law, and banking law.